Since the handover in 1997, despite—or because of—the promise of “One Country, Two Systems,” ties between Hong Kong and mainland China have become ever closer. As the world enters the Age of the Chinese Dream, how should this former British colony situate itself? And how should people in Hong Kong pursue their diverse (and, at times, incompatible) aspirations? Alex Yong Kang Chow 周永康 is a former secretary-general of the Hong Kong Federation of Students. He was sentenced to seven months in prison in 2017 for his political leadership in the Umbrella Movement. 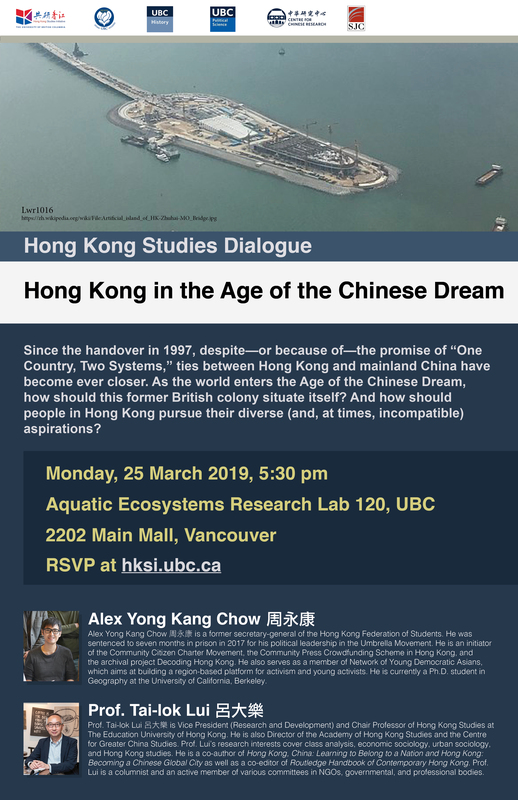 He is an initiator of the Community Citizen Charter Movement, the Community Press Crowdfunding Scheme in Hong Kong, and the archival project Decoding Hong Kong. He also serves as a member of Network of Young Democratic Asians, which aims at building a region-based platform for activism and young activists. He is currently a Ph.D. student in Geography at the University of California, Berkeley. Prof. Tai-lok Lui 呂大樂 is Vice President (Research and Development) and Chair Professor of Hong Kong Studies at The Education University of Hong Kong. He is also Director of the Academy of Hong Kong Studies and the Centre for Greater China Studies. Prof. Lui’s research interests cover class analysis, economic sociology, urban sociology, and Hong Kong studies. He is a co-author of Hong Kong, China: Learning to Belong to a Nation and Hong Kong: Becoming a Chinese Global City as well as a co-editor of Routledge Handbook of Contemporary Hong Kong. Prof. Lui is a columnist and an active member of various committees in NGOs, governmental, and professional bodies. 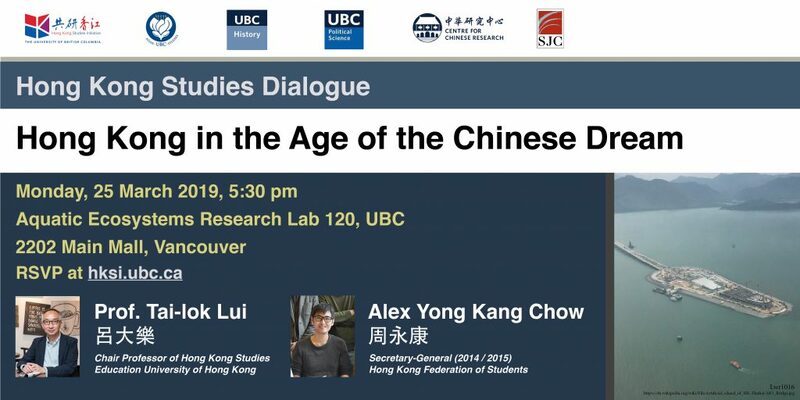 This public dialogue is organized by the UBC Hong Kong Studies Initiative and co-sponsored by: Department of Asian Studies, Department of History, Department of Political Science, Centre for Chinese Research, and St. John’s College.